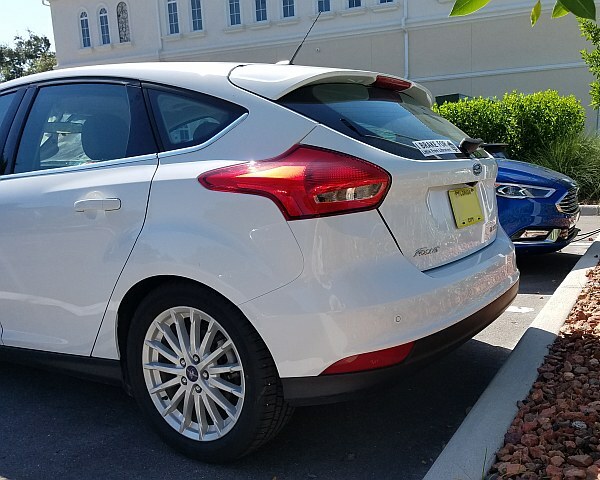 My employer's 2016 Ford Focus EV. Just did a 128-mile round-trip in it this week. My destination had two EV chargers, but both were broken... had to find another charger ½ mile down the road and leave it there for a day... but it all worked out. After driving this car that far over the past week, getting back into my Fiat felt like driving the Flintstone-mobile. Seriously. I am totally enamored with the notion of electric vehicles now. If I had the ability to store two cars (i.e., a 2-car garage, to avoid the horrid corrosion problems in this area), I would TOTALLY buy a 3-year-off-lease Fiat 500e. They're ridiculously cheap. We have one of these at my work that used to be the manager's company car. It started becoming a problem since she lives 30 minutes away from work and would have to plug the car in, and then have to race over to our other location another 25 minutes away for meetings or other emergencies only to find out the car wasn't charged. She has a 2nd-gen Chevy Volt now and loves it. 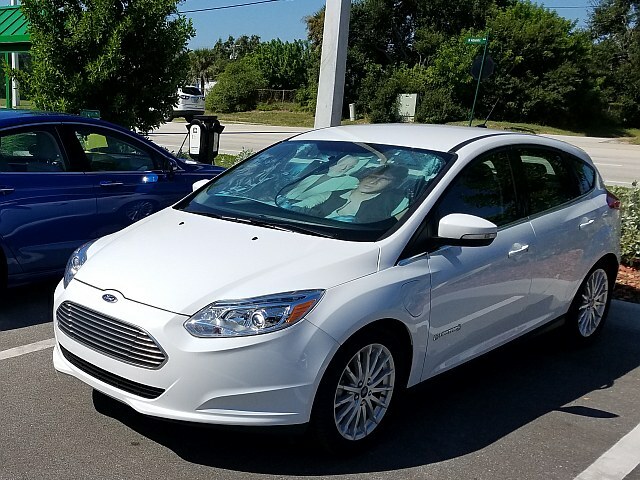 My boss likes to borrow the Focus EV for company business so he isn't using his Sierra Denali or Mercedes S550 to haul laundry bags and such. ...just a little update... had to take it on a quick trip to a county government office. Not terribly far, so no range anxiety, and on the way back is an on-ramp... a really LONG on-ramp to a 65-mph speed limit expressway. Got on it, no traffic, so for the first time, I floored this thing... it has some PUNCH... and it's such a WEIRD punch. Instantaneous. ...if the future gives us more and more electric cars, I am not terribly upset at that notion. Also, it feels "good" to recover energy when slowing down and/or braking. Nice to know not all of that energy is going to waste. I now see how even a mild-hybrid, like the failed GM mild-hybrids from last decade, kinda make sense... if only to have regenerative brakes/transmission.